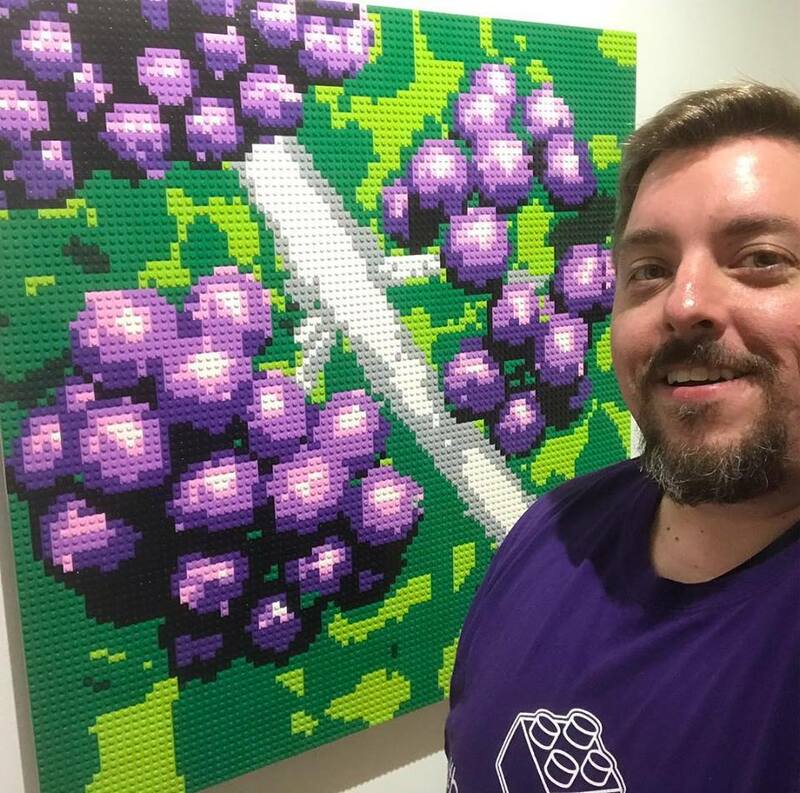 Brickworkz founder Brian Korte has made building art from LEGO bricks his life’s work. Now he brings his unique creations to The Cultural Arts Center at Glen Allen. LEGO, those classic building-block toys that you’ll really regret stepping on, have become quite the topic in the past few years, especially when it was recently revealed that LEGO sets are a more profitable investment than gold. However, for artist Brian Korte, LEGO bricks are neither a toy nor an investment — they’re art. With Korte’s current exhibit, Vibrance, on display until May 12 at the Cultural Arts Center in Glen Allen, he has brought together works that showcase his talent for turning a common children’s toy into mosaic masterpieces that resemble stained glass. Visitors can expect to see recreations of famous paintings like “Madonna and Child,” which is being shown with bright lights cascading through to accentuate its immense detail, as well as portraits that have taken on a special task within the community. This is not Korte’s first appearance at the Cultural Arts Center, and the center is very glad to have him back. Visitors to Vibrance will have the opportunity to witness Korte’s creative process themselves; QR codes posted next to the pieces allow people to go beyond the finished creations and watch time-lapse videos showing how the art came to be. That carefully constructed process has come to Korte in pieces throughout his life, starting when his older brother grew out of his LEGO phase and passed his collection down. From that point on, Korte was hooked. However, he didn’t start working with LEGO to make art until much later on. “I was at 23 and working as a webmaster by day, and took out my old cross-stitching kit from my youth,” said Korte. “I began making my own stitching patterns and decided to apply the same techniques with LEGO bricks.” The challenges of attempting to create patterns with LEGO was one he found invigorating. 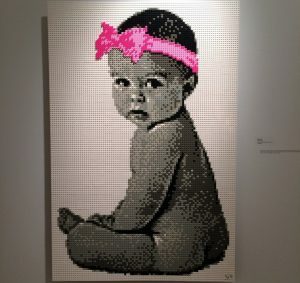 “Baby Mia,” a portrait made of 13,824 LEGO elements, is among the 30 pieces in Vibrance. Since 2016, Korte has worked solely on his LEGO projects through his company, Brickworkz. However, it hasn’t always been this way. He began making LEGO art in 2004, working on it in his free time while paying the bills with IT contract work. Eventually he felt ready enough to make a go of it as a business. “I took three months off to build a dozen sample portraits, create a website and marketing materials, and get the word out,” he said. “I grew it slowly deliberately, to refine the process — making things more efficient, learning what worked and what didn’t,” said Korte. Vibrance is showing through May 12th in the Gumenick Family Gallery at the Cultural Arts Center in Glen Allen. For more info, click here.